While bomb shelters promise to ensure safety in times of crises and emergencies, they are not exactly design-friendly. “The clunky doors tend to disrupt the aesthetic of a home-the paint used on standard-issue bomb shelter door is typically an enamel paint, which creates a more industrial and hardy finish. 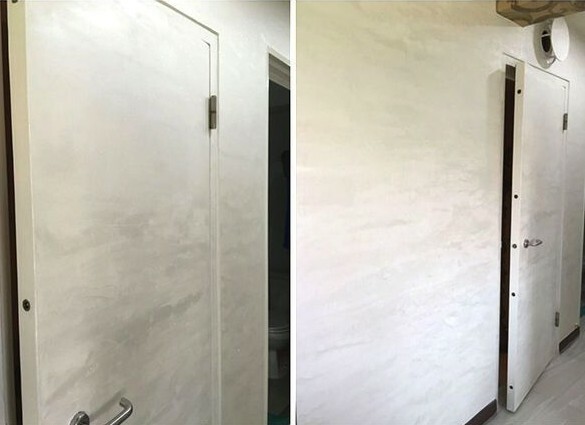 As a result, the doors tend to look bland and feel rough,” says Dominic Neo, Business Development Executive of Performance Coatings International, a 17-year-old paint specialist company that provides environment-friendly and high-quality designer coatings in Singapore and in the region. “While this project involved a bedroom door, we could easily accomplish the same effect on the bomb shelter door. The painted concrete finish is raw and edgy. 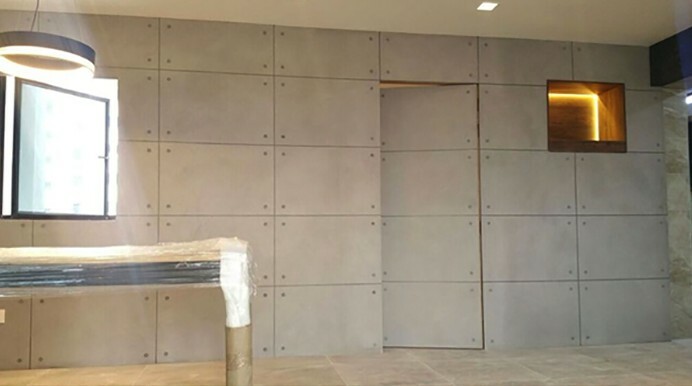 This is a great [way] to conceal your steel bomb shelter door: make it look like a concrete door,” says Neo. This is ideal especially if you’re set on having the industrial theme for your home. 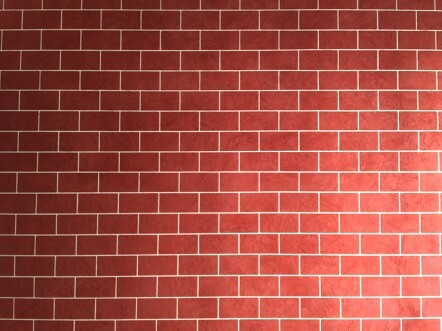 If your home is done in retro industrial style, then you may want to cover your bomb shelter with red bricks. “This finish is classic-think New York City chic,” says Neo. With the richness and depth of the finish, this bomb shelter door convincingly looks like it’s part of a red brick wall. For those who prefer the minimalist industrial or Scandinavian look, white bricks can be used to deck a wall and conceal a household shelter. “The finish is clean, understated, and versatile, comfortably complementing an eclectic mix of furniture, installations, and artwork,” says Neo. 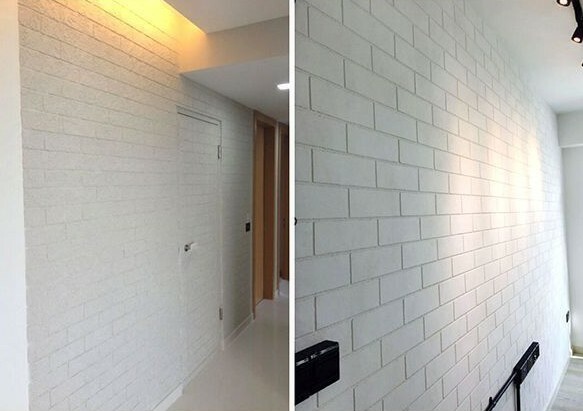 The White Brick finish from Performance Coatings comes in three designs: 3D, wavy, and plain. Other than white and brick, other colours are available as well-and you can customise the brick sizes, too! “In this design, the bomb shelter door has been completely transformed. It looks more like an entrance to an exclusive, high-end restaurant or bar, rather than a plain bomb shelter. It’s also a great example of how our decorative paint complements the furnishings; the light installation above the door is a bold feature that juxtaposes nicely against the black brick finish,” says Neo. 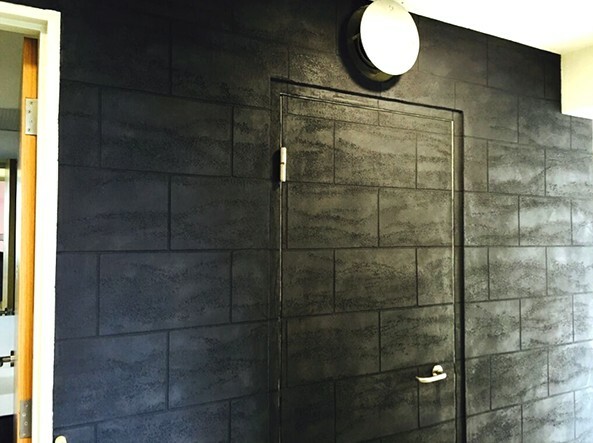 Cover the bomb shelter door and the surrounding wall with this tasteful alternative to a plain white finish. Pearl White breaks the monotony of a single-colour finish, thanks to its soothing grey accents. You can add depth and sophistication to your bomb shelter door via this off-purple-and-gold finish. The careful brushstrokes and rich colours have transformed the bomb shelter into an exquisite feature wall. 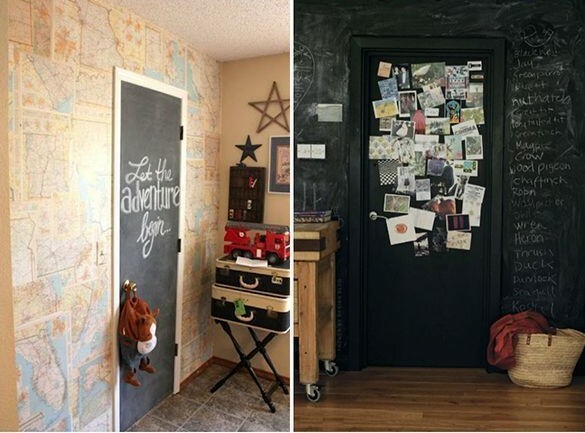 Here’s a cool and practical idea for a bomb shelter door: convert it into a chalkboard. “We carry Krylon products in our store. This can be a great DIY home project, too,” says Neo. 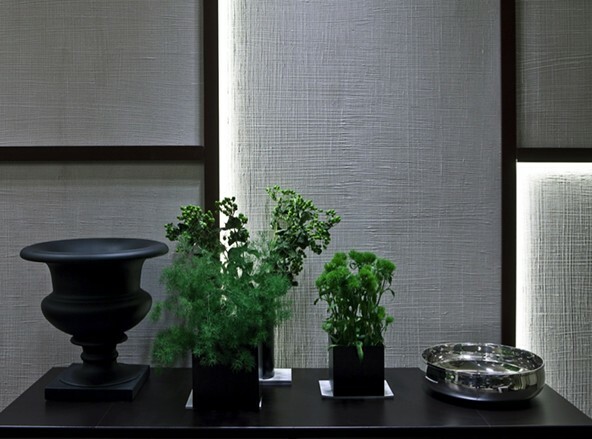 Go for a luxe look-use the glossy Raffaello Stucco, which is smooth to the touch and is stunning under the spotlight. This gives your bomb shelter door an attractive sheen. Performance Coatings International carries a diverse range of interesting paint brands, including the Sherwin-Williams’ Dry Erase Coating. “This clear gloss easily creates an erasable surface on interior substrates and over any paint colour, converting your bomb shelter door into a message/doodle board! It’s a great creative and functional outlet, especially for young families and creative professionals,” says Neo. Perfect for glam-contemporary homes, the Kreos Criss Cross is a highly textured finish that is elegant yet subdued. “The criss-cross finish is meticulously crafted, creating a layered and tasteful look,” adds Neo. 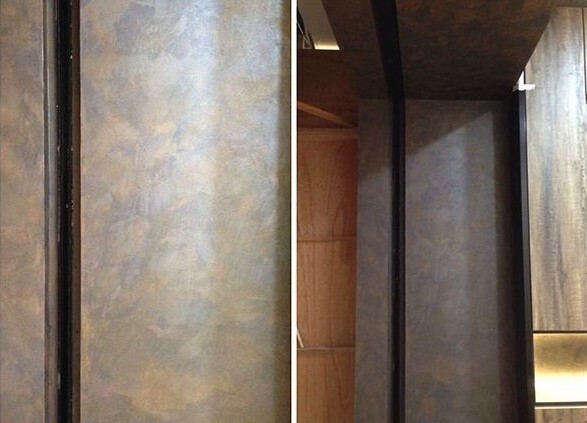 Here’s another cool paint finish from PCI’s portfolio: magnetic paint. Transform your wall into a practical and creative platform to display Post-it notes, bills, cards, and photographs. Show off your whimsical touristy magnets or embellish the magnetic wall and/or bomb shelter door with beautiful sketches. Neo clarifies that their work goes beyond restyling the bomb shelter door. “The door blends into the overarching design concept of the home. Of course, the door can certainly be a standalone feature, in and of itself. The colours and designs are customisable as well-at PCI, we want to create bespoke, unique works for our clients,” says Neo. Rates range from $10- $18 per square feet (Note that the aforementioned rates are not applicable for the dry erase paint and chalkboard paint, and there is also a surcharge for areas under 150 sq. ft.). Rest assured that you’re guaranteed nothing but high quality decorative paint performance since PCI only uses premium Italian decorative paint. 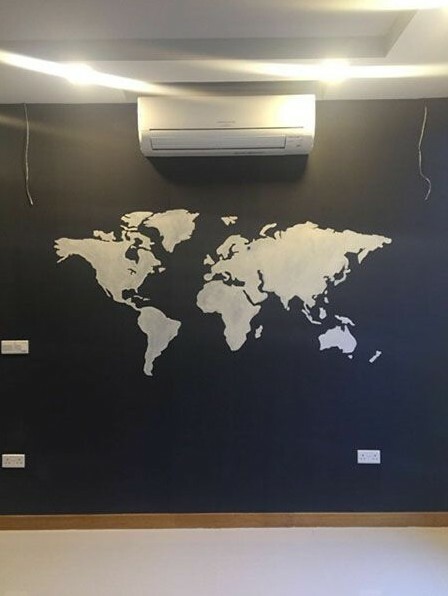 Their chief designer even went all the way to Italy to learn design techniques from expert Italian craftsmen. 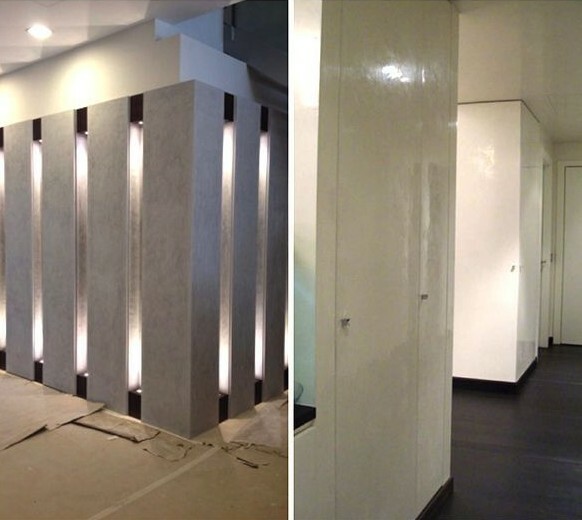 “Using paint allows us to be very flexible with the colours, design and coverage, unlike tiles and wallpaper. The paint is very durable. We have a 1-year warranty on all our feature walls,” concludes Neo.